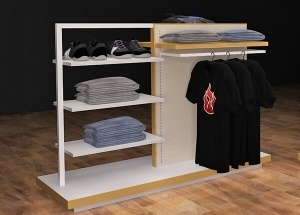 Clothing Display Racks,Shop Fit Out at www.jovafurniture.com. We have more than 15 years experience in clothing display racks industry. 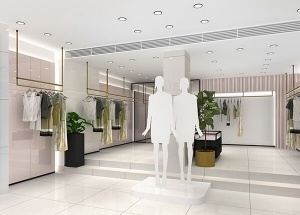 Find the most effective and economical clothing store furniture solution for our client. All in one service: Measurement shop size, 3d design, production display furniture, shipping, installation service, after sale service. Please leave your message,we will reply you soon ! This boutique interior design is for apple new clothing shop project. 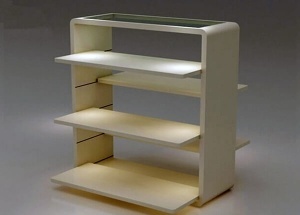 wholesale product display stand, or do shop interior design, call at 0086 13825185029. This ladies wear shop project was made at August 2018, for LIEDOW clothing store. This wear shop decoration using gold and black metal and white baking finish mdf. 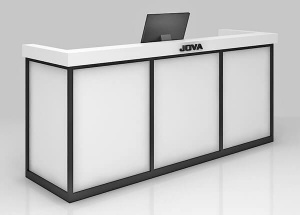 This white shop counter is used to be a cash desk in the clothing store,a reception desk in the company. It is made by wooden (MDF) with baking finish,metal. 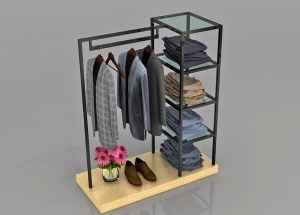 This clothing racks are pre-assembled and are made by black stainless steel and acrylic shelves. We can also customize finishes to your specification. This lingerie shop design was for a lady underwear store project. We custom made underwear display stands and showcase. 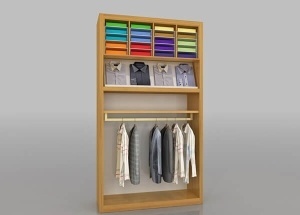 This shirt display rack: vertical veneer finished, laminated deck, adjustable shelf and hanger rack, rear panel, hanger rack. It provides a custom look with a factory price. 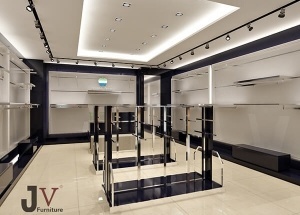 This boutique clothing store fixtures: vertical veneer finished, laminated deck, shelves, rear panel, hanger rack, spot light, logo, toe-kick. It provides a custom look with a factory price. This clothing shop display racks is used to display clothing,dress,pants,bags,shoes for women,man,kids,baby shops,boutique stores.It is made by wooden,metal,lights and fixtures,etc. May I Know More Information About Your Product? What are the main materials of your shop furniture? How can I get the quotation? How About Your Furniture Packing? Do You Have display Showcase In Stock?